For nearly a decade, there has been talk about the big plans for the area north of the Port of Palm Beach, a place where the world’s largest yachts will someday be able to come for service and dockage. Rybovich first announced plans to change back in 2006. The current Rybovich facility in West Palm Beach is the one many captains already know: 52 wet slips for yachts up to 120m in length, seven dry slips for up to 59m, a dry dock and trade shops. Crew know the cafe, pool and clubhouse near the docks. But Rybovich also owns property in Riviera Beach that is more than three times the size of the West Palm Beach operation, according to Carlos Vidueira, vice president of Rybovich. The company’s shipyard facilities eventually will relocate there leaving room for condominiums, restaurant and retail space on the West Palm Beach property. The marina will remain available to megayachts. Perhaps more importantly, Viking Yacht’s parent company, Viking Developers, has acquired about 13 acres in the area, which is about 50 percent of the city’s revitalization project. Viking was named a private industry partner in the $375 million project. Ground was broken a year ago. The Riviera Beach Marina District is scheduled to include extended stay corporate housing for captains, crew and other visitors; marine trades-focused office space, residential high-rise tower, a ship’s store, captains lounge, dive shop, bait and tackle, and an international public market, said Tyler Alten, vice president of Viking Developers. The first phase of the revitalization is under way now and includes a waterfront restaurant row, a new events center, a public promenade and beach, and underground utilities infrastructure. To give boats access to these changes in Riviera Beach, the U.S. Army Corps of Engineers approved the dredging of 3,555 linear feet of the Intracoastal Waterway north of the deepwater basin of the Port of Palm Beach to just south of the Blue Heron Boulevard Bridge. The Florida Inland Navigation District has been contracted to a width of 125 feet and depth of 15 feet at mean low tide. The project has been permitted and should be started by the end of the year. The exciting part of all of this growth and change is that Palm Beach Yachts International, located on blocks away from the current Rybovich facility, is in the middle of it all! Summer By The Sea…Go While The Euro Is Low! Did you know that the Euro is at an 11 year low against the dollar?!? What that means for you – exploring Europe for less – A LOT LESS! 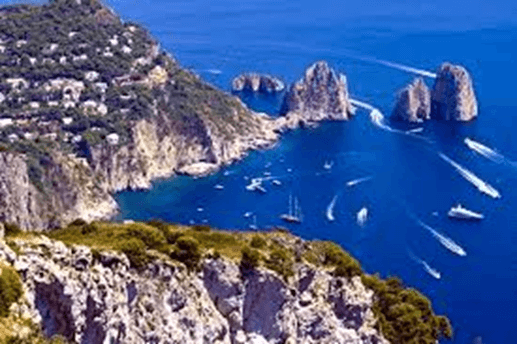 Charter a Yacht in Europe – Italy, France, Spain, Greece, Croatia or anywhere else you can imagine! Let our Yacht Charter Specialist know where you want to go and we’ll do the rest. Your dream vacation is only a phone call away – 561-863-0082!